Geoffrey Studdert Kennedy, often known as `Woodbine Willie’ because of his practice of distributing Woodbine cigarettes together with New Testaments to the troops, was undoubtedly the most famous World War One chaplain. Stark, moving but with glimmers of humour amongst the wreckage, The Hardest Part asks perhaps the hardest question of all when faced with the horrors of the 1st World War – where was God to be found in the carnage of the western front? Kennedy’s answer, that through the cross God shares in human suffering rather than being a `passionate potentate’ looking down unmoved by death, injury and destruction on an immense scale, was, and still is, revolutionary. 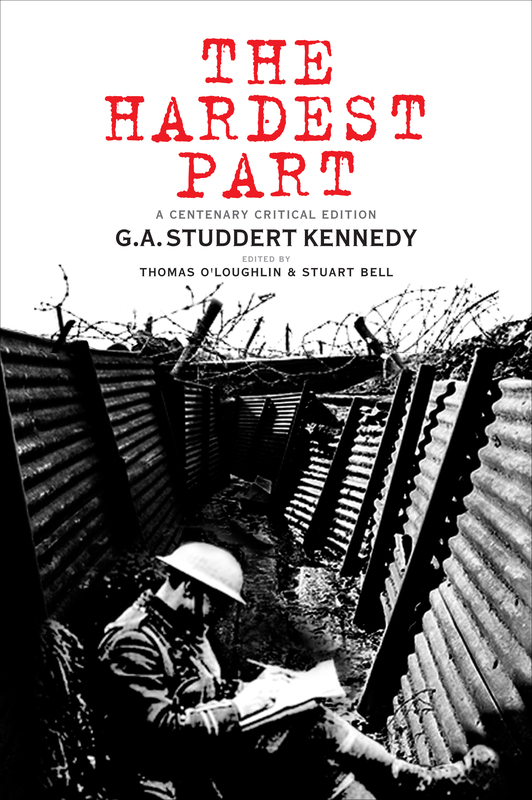 Marking the centenary both of the end of the First World War and the original publication of The Hardest Part, this new critical edition is edited by Thomas O’Loughlin and Stuart Bell. Available as a beautiful jacketed hardback, the book contains a contextual introduction, a brief biography of Studdert Kennedy, annotated bibliography and the full text of the first edition of the book, with explanatory notes. The Hardest Part: A Centenary Critical Edition is published next month. In May comes The Bible and Disability: A Commentary, the first comprehensive commentary on the Bible from the perspective of disability. The Commentary examines how the Bible constructs or reflects human wholeness, impairment, and disability in all their expressions. Each of the fourteen contributors has worked at the intersection of biblical studies and disability studies; and through their combined expertise, the very best of both biblical studies and disability studies culminates in detailed textual work of description, interpretation, and application to provide a synthetic and synoptic whole. The result is a close reading of the Bible that gives long-overdue attention to the fullness of human identity narrated in the Scriptures. 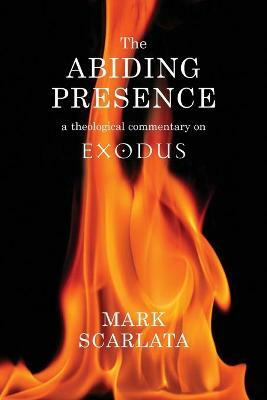 Also in May, we’ll publish a new theological commentary on Exodus – Mark Scarlata’s The Abiding Presence. With an emphasis on the nature and importance of divine presence, “The Abiding Presence” provides a unique perspective on the overarching theology of Exodus drawing particular attention to God’s revelation at the burning bush, Sinai, and the tabernacle and reflects on how these themes were employed by New Testament authors in understanding the life and ministry of Christ. Bridging the gap between accessibility and scholarly rigour, this commentary offers an excellent tool for ordinands, students, teachers in higher education and preachers to engage with the theology of the book in its Old Testament context as well as how its message is revealed in the New Testament and continues to spetoday. Walter Moberla fine reading of the biblical text. Scarlata takes seriously both the complexities and the insights of modern biblical scholarship. He situates them, however, within an accessible literary and theological reading of the biblical text in its received form as an enduring witness to the ways, and presence, of God. 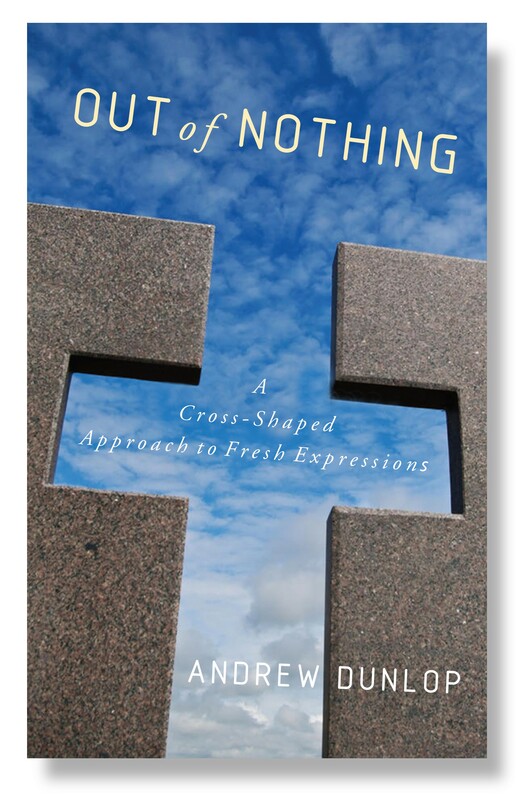 Out of Nothing: A Cross-Shaped Approach to Fresh Expressions by A ndrew Dunlop offers an account of his journey in starting a fresh expression, and along the way proposes an alternative theological foundation for evaluation – the Cross-Shaped approach. Dunlop proposes a theological foundation which goes to the heart of God’s action in the world (drawing on Christology, atonement theories, and practical theology), informed by Karl Barth’s ecclesiology and Andrew Root’s development of Eberhard Jungel’s work on God acting ex nihilo. Both accessible and critically engaged, the book will provide an important resource for both pioneers and for those studying pioneer ministry. The book is published in June. How can the arts witness to the transcendence of the Christian God? It is widely believed that there is something transcendent about the arts, that they can awaken a profound sense of awe, wonder, and mystery, of something “beyond” this world. Many argue that this opens up fruitful opportunities for conversation with those who may have no use for conventional forms of Christianity. 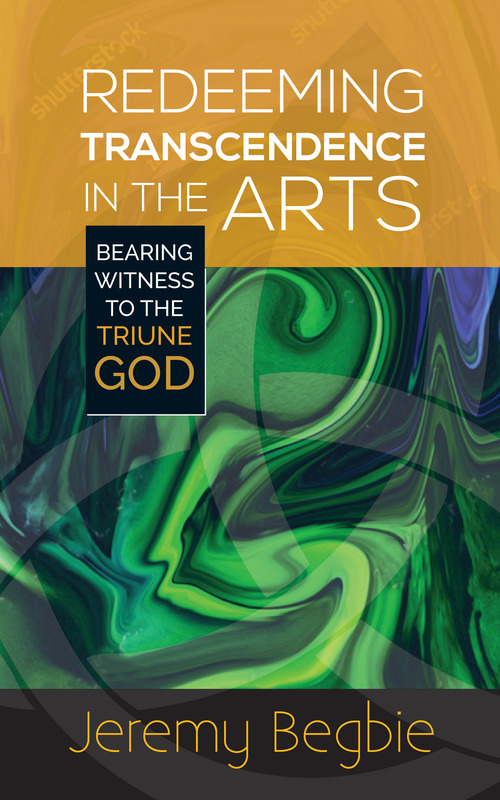 In Redeeming Transcendence in the Arts Jeremy Begbie – a leading voice on theology and the arts – in employs a biblical, trinitarian imagination to show how Christian involvement in the arts can (and should) be shaped by a vision of God’s transcendence revealed in the person of Jesus Christ. After critiquing some current writing on the subject, he goes on to offer rich resources to help readers engage constructively with the contemporary cultural moment even as they bear witness to the otherness and uncontainability of the triune God of love. Again, the book is available in June. 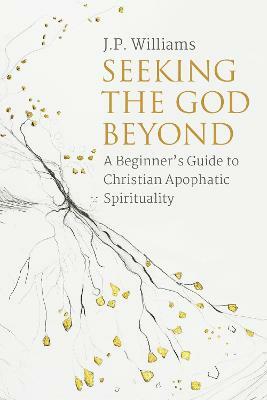 Also coming in June is Seeking the God Beyond: A Beginner’s Guide to Christian Apophatic Spirituality. Apophatic, or negative, theology attempts to describe God, the Divine Good, by negation, to speak only in terms of what may not be said about the perfect goodness that is God. It is a way of coming to an understanding of who God is which has played a significant role across centuries of Christian tradition but is very often treated with suspicion by those engaging in theological study today. This book seeks to introduce students to this oft-misunderstood form of spirituality. Beginning by placing apophatic spirituality within its biblical roots, the book later considers the key pioneers of apophatic faith and a diverse range of thinkers including C S Lewis and Keats – to inform us in our negative theological journey. A final section explores what difference a negative theological approach might make to our practice and our liturgy. 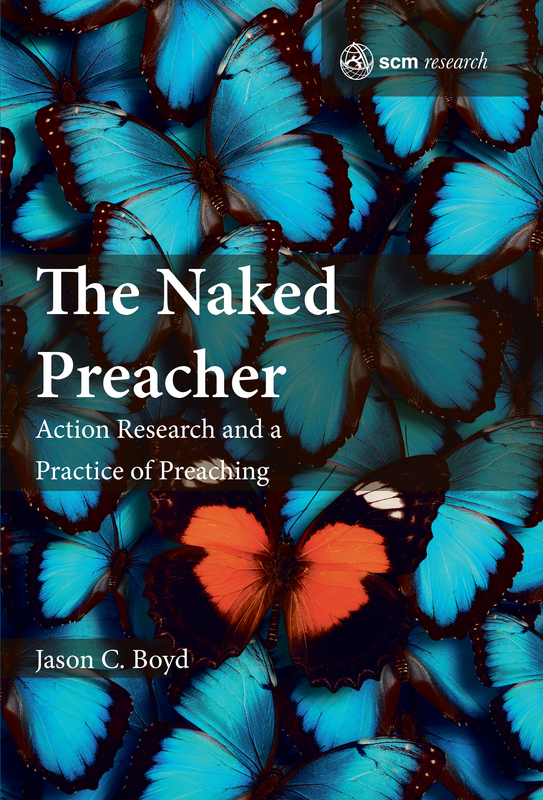 In the latest title in the SCM Research monograph strand, The Naked Preacher, Jason Boyd explores his own practice of preaching using a process of action research. Its process which he finds to be uncomfortably exposing. These words belong to Iris, the protagonist in The Blind Assassin. Having kept silent about the events surrounding her sister’s death and her part in it, she writes her story and leaves it in the hope that one day her estranged granddaughter will read it. She imagines that writing the truth would be possible if you thought no one would read it: ‘You must see the writing as emerging like a long scroll of ink from the index finger of your right hand; you must see your left hand erasing it. Impossible of course’ (p. 345). Iris comes to realize that the omissions are often more important than the ‘labelled bones’ or the tidy script. This is my dilemma too. I attempt to tell the truth knowing that you are reading. How do I write of a living inquiry that goes beyond the bare bones of what might appear to be facts? There are so many different ways that the story of the naked preacher could have been written. One measure of the truthfulness of my account is in the admission that there is much more to this inquiry than what I have set down on paper. Should you be in doubt, I am the naked preacher. Why naked? The image stems from a recurring nightmare of my youth, a dream that is experienced by many. It surfaced in my mind as I was reflecting on a discovery I made about not looking my congregation in the eye when preaching. It served as a metaphor for the all-pervasive, profound sense of vulnerability that cloaked me in the act of preaching a sermon. Not only did nakedness illumine my understanding of averting my eyes, it gave insight into my sense of vulnerability as an involved researcher. I was both the researcher and the one being researched. I invited my congregation to hold up a mirror to my practice. How terrifying was that?! What would I see? What would they say to me? Would I like my reflection in the mirror or would the glass be shattered for shame? In this book, the naked preacher and the naked researcher are one and the same person: me. I set out to demonstrate a way that a practitioner may collaborate with others to gain insight into their practices. For me, it was my practice of preaching that raised questions I sought to explore in the community of practice. My hope is that my inquiry as naked preacher will yield insight for preachers who want to improve and transform their own practice of preaching. The process of answering this question meant that I was engaging in research. Any practitioner involved in reflecting on their practices is a researcher, even if only in an informal sense. My role as researcher was formalized through a postgraduate programme. Though my inquiry was framed by the obligations of the academy, my intention was to develop a process for practitioners in everyday settings to attend to their ordinary practices. For me, the focus of my research was my practice of preaching as a minister in a church setting. My aim in this book is to flesh out a process and mode of inquiry for those engaged in a plethora of practices. The presence of the naked preacher and researcher is an image of a person invested in a practice who is willing to risk the vulnerability of seeing clearly. It all began with the question, ‘What is going on when I preach a sermon?’ It was a question nagging at me from below the surface of my consciousness. How could I gain an understanding of my congregation’s experience of my preaching? While many other professions have systems in place to appraise effectiveness of practice, preachers intuit responses to their sermons from their own perceptions. Responses at the church door range from bland ‘nice sermon’ to engaged positive or negative comments. I wanted to know how I could tease out how my congregation saw and heard me in a sustained and systematic way. Do sermons – my sermons – change the way my congregation live? This question stripped me bare as both preacher and researcher. This is an extract from the introduction to The Naked Preacher: Action Research and a Practice of Preaching, published later this month in the SCM Research series. For more information, or to preorder a copy, click here. 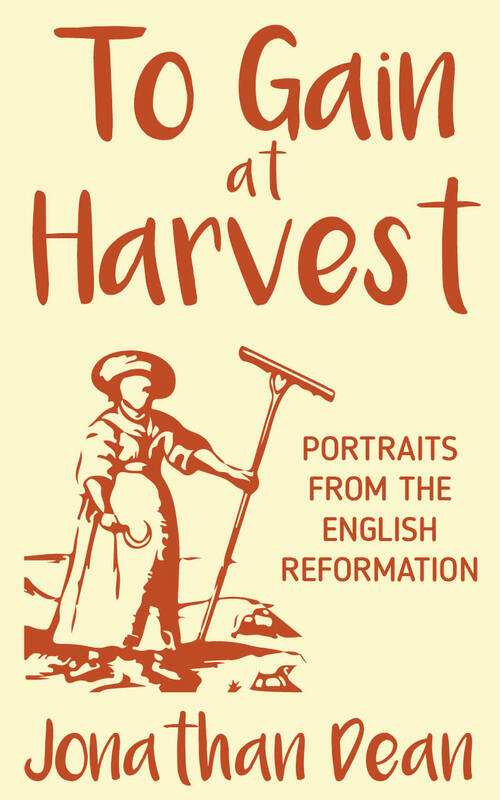 To mark International Women’s Day, Jonathan Dean, author of To Gain at Harvest: Portraits from the English Reformation invites us to remember some the extraordinary women at the heart of the Reformation in England. It’s rather easy to see Elizabeth I as embodying what we need to know about the contribution of women to the English Reformation, and to the shaping of the English Church more generally. When she came to the throne in 1558, it was clear that, as the daughter of Anne Boleyn, and after resisting the reintroduction of Catholicism under her half-sister Mary’s rule, she would return the nation to some form of Protestant Christianity. The particular form of that Christianity is fascinating, complex and at points bizarre: and in some measure that strangeness remains in the DNA of the Church of England. Elizabeth lived a long life, stubbornly refused to budge from the eccentric settlement of her early years, and bequeathed to posterity a national church over which successive generations have fought, but in whose uniqueness and character most have found it possible to take some pride. Historians disagree about the extent to which Elizabeth herself should be thanked – or blamed – for the result, but her principal guiding role in events is clear. For all that, however, and despite Elizabeth’s own continuing attractiveness to novelists, historians, film makers and artists of all kinds, she has, sometimes perhaps unfairly, stolen the spotlight. As I gathered the ‘portraits’ I wished to draw for To Gain at Harvest, I was reminded very forcefully of how much even ‘Gloriana’ stood on the shoulders of giants who had gone before her, women whose own courage, determination, intellect and insight make a distinctive contribution to that continuing process of discernment and disagreement during a long and contested century of upheaval and change. Nor were those giants all on her own side. A feminist reading of the English Reformation has to include Margaret Roper, the extraordinary daughter of Thomas More, his confidant and his closest companion, whose literary output, courageous championing of his cause and his memory, and single-minded commitment to the principles for which he stood – unity within the Christian world, foresight in affairs of state, and compassion in matters of natural justice – marked her out as a pioneer of women’s scholarship and agency in any time or place. And it should also include Mary Tudor herself, a woman whose reputation and character have been defined by John Foxe’s polemics more than by fairness or truth, and whose brief reign (seen in the book through the lens of her formidable Archdeacon of Canterbury, Nicholas Harpsfield) was more effective, more principled and even more restorative of national morale than most have allowed. When Elizabeth came to the throne, there had been only one other previous Queen Regnant in English history: her immediate predecessor. They had once been close, and shared much in common, even beyond a father capable of capricious cruelty as well as expansive affection. And it may well be that qualities which men like Foxe praised in Elizabeth, he also despised in Mary, if only because of her religious sensibilities. Both Mary and Elizabeth would have had good cause, amid the vicissitudes of their reigns, to look back together on one period in which they probably experienced the closest thing they had known to a stable and loving family life. Towards the end of his reign, their father had married for a sixth time. His last wife, Katherine Parr, has a claim to be one of the great figures of Tudor England. Her story is the one that ought to be filmed: married off as a girl, she had had to discover her own inner resources of wisdom and fortitude very quickly, experiencing the loneliness of two marriages in quick succession, in which her husbands, through weakness of constitution or character, left her to manage their households, raise their children and even protect their property from violent rebels against the Crown. These innate qualities of strength and resilience, forged amid real griefs and setbacks and unimaginable trials, came into their own during her sudden, unlooked-for and undesired elevation to the role of queen consort. Queen Katherine was amazingly competent, highly intelligent and gifted with a depth of human understanding and connection which were all of inestimable benefit in those late years of Henry’s reign. So great was his own regard for her qualities that he left her in charge of the realm when on a diplomatic mission overseas, the first time in English history that a woman of common birth was so charged, and an act which enraged some male courtiers even more against her. Her most impressive contribution, however, may have been her influence on the royal children. Motherless, divided against one another and treated sometimes with casual callousness by their father, Katherine won them over with her own warmth, wisdom and kindness, reconciling them to their father and to one another and ensuring that the King’s new respect for them was enshrined in law and the succession. It was a remarkable achievement amid Tudor dysfunction and paternal neglect. Katherine’s religious views almost proved her undoing: she thwarted a plot to destroy her only by use of every wile and stratagem at her disposal, in 1546. They were also the subject of her literary career: two books, the first published in English by a woman, late in her life. Her known sympathies for Protestants also connect her to another of the book’s subjects: the truly astonishing Anne Askew, who was executed in that same purge against the new faith. Although the least famous and celebrated of those we’ve mentioned, Anne’s witness may be the most emphatic. She kept a written account of her own formation as a Protestant, her trials, her persecution, and the days leading to her death. Published by later authors, her eye-witness account shaped and informed subsequent generations. Indeed, her first champion, John Bale, went so far as to make explicit her own implicit claim to a Christ-like life and death: not only did she witness to Jesus in her sufferings, she actually embodied him, giving to women and men in the 16th century and later a tangible connection to the core of their faith, lived out in the difficulties of real life. Elizabeth I therefore stands at the highly-publicised and perhaps more respectable end of a long line of women whose witness, courage, tenacity and wisdom informed and shaped the English Reformation. On International Women’s Day, and amid the ongoing 500th anniversary celebrations of that tumultuous era, we do well not to forget their influence, their legacy or their pioneering boldness. Jonathan Dean is Director of the Centre for Continuing Ministerial Development, at the Queen’s Foundation, Birmingham.